Futurology is now emerging as a new and fledgling field of knowledge. Modern futurology tries to plot the future trends in the external life of man – in economics, society, politics, business, technology. We will be presenting here an alternative scenario with an emphasis on the future of the Human Potential, especially the potentials of the inner being of man, his psychological and spiritual potentials. For, we believe that it is in this inner realm that the future of human evolution lies. 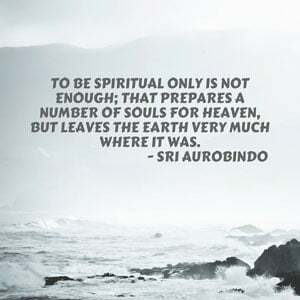 In this series we will try to do what is called in modern futurology “scenario building”, sketching a line of future possibilities in the light of Sri Aurobindo and Mother’s vision of the future, with an emphasis on the brighter and more luminous possibilities. Many of the themes or terms discussed here have become familiar clichés of the ever-growing New Age literature. But the deeper spiritual significance of these themes of the future is not yet well-understood. We will try to clarify the deeper and broader significance of some of these New Age clichés like holism or globalism or global consciousness. To an overly pragmatic mind most of these future verities may appear dreamy or utopian. But what else is human progress than a progressive realisation of our utopias? And as Sri Aurobindo says in his epic Savitri, “Earth’s winged chimeras are Truth’s steeds in Heaven.” The Truth’s steeds may sometimes use our winged chimeras to descend into earth carrying their heavenly possibilities. This brings us to the rather esoteric subject: nature and forms of intuition. The dictionary meaning of intuition is “power of understanding things (e.g. situation or feeling) without the need for conscious reasoning or study” or in other words some form of spontaneous knowledge or the ability to arrive at right conclusion without the need for rational analysis. This is undoubtedly one of the characteristics of intuition. But this popular conception of intuition is utterly inadequate to describe the true and higher intuition which will replace reason and lead the future evolution of humanity. For many infrarational instincts and impulses conform to the dictionary meaning of intuition. But true intuition is something suprarational. And also, this popular or dictionary meaning of intuition is not something which belongs to the future. This aspect of intuition is more or less manifest in all human beings who have achieved or created something in their thought, life or action. Most of the thinkers, scientists, innovators, leaders who have made significant contributions to human progress were propelled by a conscious or subconscious intuition in their thought, feeling or dynamic faculties of will and action. This intuition comes either from a long experience of the surface consciousness in a particular field of thought or action or else it manifest as a flash from the subconscious or subliminal regions, which is later given a form in thought and life by the conscious mind at the surface. As the human consciousness awakens more and more to its subliminal regions in the future, there will be a greater and more widespread intuitive awareness in the human mind than in the past or present. But the intuitions of the surface, subconscious or subliminal cannot lead humanity safely to its spiritual destiny. We have already indicated the reasons. All the regions of human consciousness – the surface, subconscious and the subliminal – below the spiritual are a mixture of truth and falsehood, light and darkness under the influence of ego and desire and subject to the dualities of the mind. The intuitions of these below-spiritual regions may provide temporary and utilitarian solution to mundane or technical problems. But they cannot solve the deeper, psychological, spiritual and existential problems of life. For a lasting solution to human problems and the fulfilment of the human destiny we need a higher spiritual intuition which can liberate the human consciousness from ego and desire; see, feel and live in the indivisible wholeness and unity of life; and resolve all the inner and outer dualities and conflicts of life in a higher synthesis. Such an intuition exists only in the spiritual ranges of our consciousness. But spiritual intuition is of a different nature from intuitions of the surface or subliminal consciousness. There are different ranges, types and forms of spiritual intuitions depending on the level or the part of the spiritual continent from which it comes. However we may identify some common characteristics. Some of these characteristics like, for example, direct insight, may be similar to that of intuitions at the lower levels of our being but at the higher spiritual level, they are deeper, more intense and penetrating. There are many others which the lower intuitions do not possess. 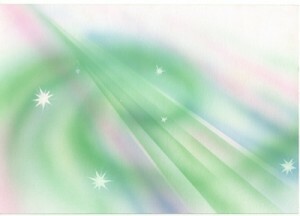 The second characteristic which is common to all intuition, lower and higher, is direct insight and inner illumination. The literal sense of the word “in-tuition, which gives the sense of illumination, teaching or learning from within gives a much better understanding of this important quality than the dictionary definition. The knowledge of the externalized rational intellect is a laborious acquisition from without. The process of rational knowledge assumes, and gives the impression or the sense, that knowledge is out there in the external world, in the not-self, and it has to be acquired from without by the strenuous process of observation, classification, analysis, deduction the classical process of the scientific method. The process of intuition may also go through this process of reason, but much more rapidly and swiftly, or it may dispense with some stages of the process, and the final act of knowledge, the conclusion, insight or discovery, comes not as an acquisition from without but as a spontaneous revelation from within, as if the truth of things, even that of the external world, are within us in our own consciousness or self. But it is not perhaps “as if”. Indian seers perceived a supreme and eternal consciousness as the creative source of the individual and the universe. The deepest and essential truth of things, even the things of the external world, is a vibrant spiritual Idea in the eternal consciousness of the Divine. In the deepest and innermost core of our being, our consciousness is aware of itself as a part of and one with the eternal consciousness and therefore, knows the truth of things by an inner act of knowledge. An Indian tantric text says “knowledge is structured in consciousness”. All knowledge is within us, in our own consciousness and spiritual intuition reveals this knowledge that is within us. There is a level of intuition just beyond the rational mind, in which truth is revealed though a luminous and direct insight in thought. There is a higher level in which we can see the truth through inner vision and the deeper realities of life are revealed in living and luminous symbols. The hidden and invisible behind the visible and outer appearance becomes visible to the inner vision of the seer. There is a still higher level in which the truth becomes audible to an inner “hearing” of the inspired poet. For, as we have said earlier, according to Indian spiritual conception, the truth of things is a vibrant and creative Idea in the consciousness of the Divine. It is at once Light and Sound, light of knowledge and a vibration of energy, which together make the content of truth. In other words we may say the truth has a light-aspect which reveals its body and a sound aspect which reveals its inner vibration. While the inner vision reveals the light-body of truth, inner hearing reveals the sound-body of truth in inspired poetry. This is the reason why in ancient Indian tradition, the Vedas, the scripture of the Hindu, which was revered as a supreme spiritual revelation, is considered as something “heard”, shruti.